This year, I will be the featured spinner for Dicentra Designs fiber at Madrona. Lisa will have a spot in her booth where all the yummy fiber of hers that I’ve spun up will be for sale.This is a new venture for both Lisa and I. We have been conversing for a month or so now and she’s just such a great “pen pal”. 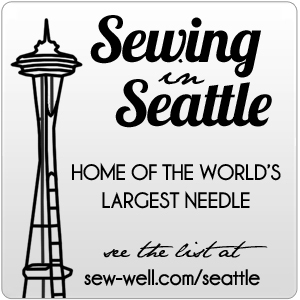 I’ll be attending Madrona to learn e-knitting (pulling in LED’s into my knitting) from Syne Mitchell and “creating your own stitch patterns”. But, I’ll also be about spinning and shopping and conversing. In addition to the Dicentra Designs booth, I’ll also have a small amount of handspun art yarns by other popular dyers available in the Lollipop Cabin booth(thanks Ialiuxh!). As always, you can buy from me directly via my Etsy shop (Something Dread.Full). I’ve been posting small amounts of fiber each week as I’m able to photograph, weigh, ID yardage, etc. Lots of love, joy and “calm under tension” spun into all my fiber. Last week I received the box of Dicentra fibers. I gasped. The colors are so vibrant and delightful that I found myself in “insta-happy” land. Immediately, they must be sniffed, petted, etc. Sigh… there’s nothing quite like the joy of color in fiber. So, I thought I’d share with you some of the delightful colors. When I have more spun up, I’ll post again.